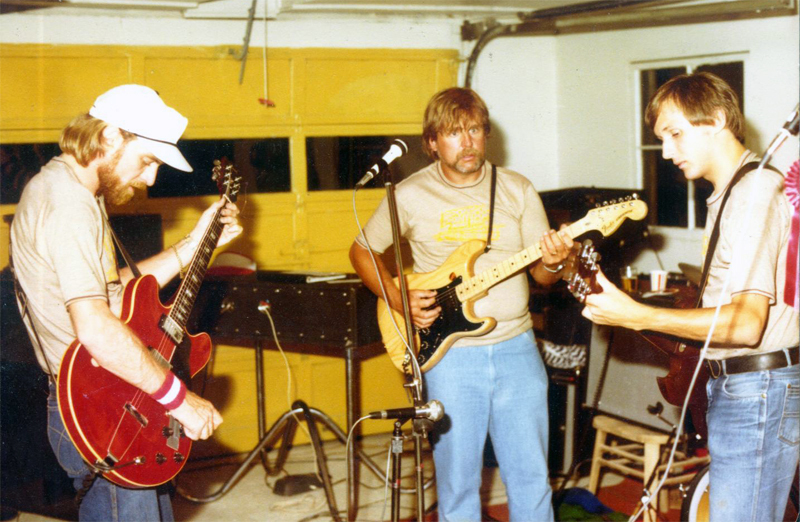 This week’s LOUIE is a rare 1980 recording of a band known as Sponson Pontoon and the Floaters, playing at some drunken bash known as “Pig Party” near Yakima, WA. Larry Baker aka “Sponson Pontoon” is on bass and vocals, joined by John Smestad on guitar, Steve Tytler on guitar, Doug Bennett on drums, and very special guest Barry Curtis, a former member of the Kingsmen, also on guitar. I wish there were some photographs, but ya take what cha get…. It looks like a nice introduction to the band! Here’s one of the photos from the webpage….